A friend asked me for some butterfly photos, I came up with a few. 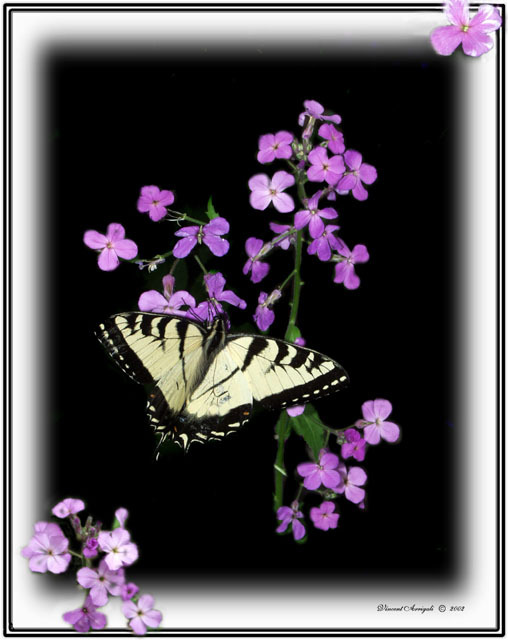 This is one I played around with, The butterflys were shot up at my home last weekend. Chased them through the woods to get some shots. Makes a nice card don`t you think. I like what you have done with the flowers, and yes a nice card.